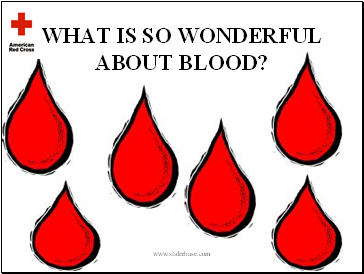 WHAT IS SO WONDERFUL ABOUT BLOOD? Blood flows everywhere through the human body. The heart pumps blood to all our body cells, supplying them with oxygen and food. 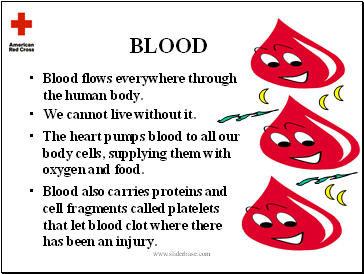 Blood also carries proteins and cell fragments called platelets that let blood clot where there has been an injury. 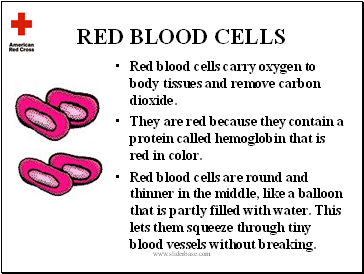 Red blood cells carry oxygen to body tissues and remove carbon dioxide. They are red because they contain a protein called hemoglobin that is red in color. Red blood cells are round and thinner in the middle, like a balloon that is partly filled with water. This lets them squeeze through tiny blood vessels without breaking. 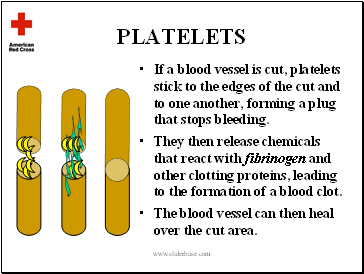 If a blood vessel is cut, platelets stick to the edges of the cut and to one another, forming a plug that stops bleeding. They then release chemicals that react with fibrinogen and other clotting proteins, leading to the formation of a blood clot. The blood vessel can then heal over the cut area. 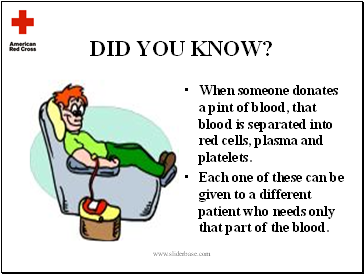 Plasma is the liquid part of your blood in which red cells and platelets float. 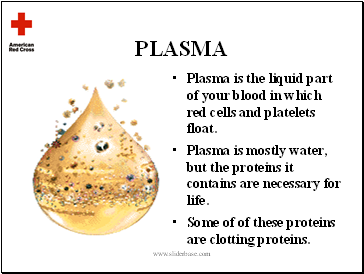 Plasma is mostly water, but the proteins it contains are necessary for life. Some of of these proteins are clotting proteins. 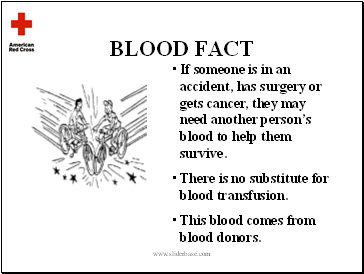 If someone is in an accident, has surgery or gets cancer, they may need another person’s blood to help them survive. There is no substitute for blood transfusion. This blood comes from blood donors. 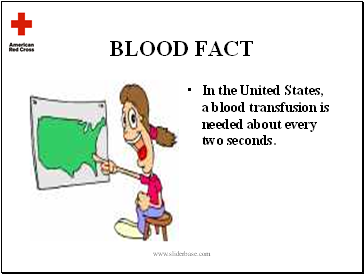 In the United States, a blood transfusion is needed about every two seconds. 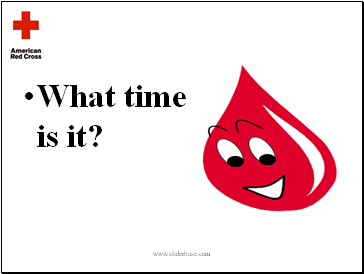 When someone donates a pint of blood, that blood is separated into red cells, plasma and platelets. Each one of these can be given to a different patient who needs only that part of the blood. 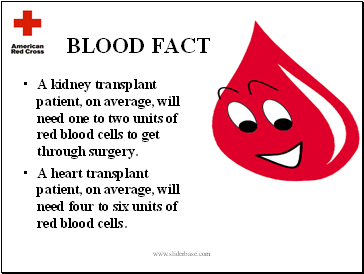 A kidney transplant patient, on average, will need one to two units of red blood cells to get through surgery. A heart transplant patient, on average, will need four to six units of red blood cells. Would you like to take a quiz?